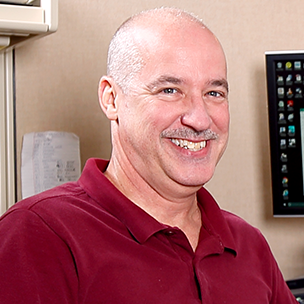 This rugged speaker delivers high-fidelity sound with solid bass for business applications. By buying this product you'll earn up to 392 Rewards points. JBL's rugged Control 29AV speakers delivers high-fidelity sound with solid bass for business applications like outdoor restaurant seating, patio bars, and more. This rugged speaker is built to JBL's exacting specifications, with an 8" woofer and 1" titanium tweeter that hold up to daily use in any weather. Each speaker features a tough Kevlar woofer with JBL's rubberized WeatherEdge™ surround for extra protection, so you can add music to a restaurant's dining patio or set up a complete sound system for a water park. Each polycarbonate tweeter diaphragm is reinforced with a thin film of titanium for added rigidity and endurance against sun, salt and moisture. The speaker grilles are plated with zinc to resist rusting. Great speakers and great price. I have been bumping these speakers all week to all kinds of music and they sound as if you are at a concert. Really clear and crisp. Do these come with mounting brackets? I'm assuming these are passive speakers? These are great speakers they do come with mounting bracket. Make sure to purchase a separate sub woofer to add some deep bass. 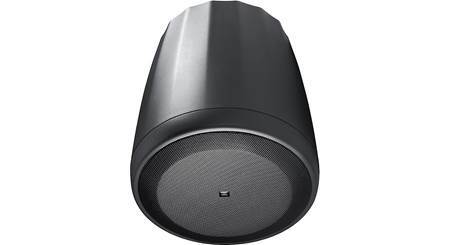 Overview: The JBL Control 29AV is a 70/100 volt speaker designed for commercial applications, both indoor and outdoor. Its improved voicing allows for an extremely flat response, high-fidelity, and extended bandwidth from an 8" Kevlar woofer and 1" titanium diaphragm compression driver, providing up to 110˚ of horizontal and 85˚ of vertical coverage. It can be run in either 70 or 100 volt applications and includes an 8Ω Thru setting as well. Other features include a highly weather-resistant enclosure, JBL's SonicGuard overload protection, and flexible mounting options. Enclosure: Designed for indoor and outdoor use, the Control 29AV series speakers have been maximized for weather resistance. They feature a high-impact polystyrene enclosure along with a thermoset composite coated grill with foam lining to minimize water incursion. The woofer is made of Kevlar with a butyl rubber surround and the compression driver's diaphragm is made of pure titanium. Input terminals are nickel/zinc coated for rust-resistance and can have further protection from the included input terminal cover. The Control 29AV carries an IEC 529 IP-X4 splash-proof rating and exceeds MilSpec 810 for humidity, salt spray, temperature, and UV. It also passes Mil-Std-202F for salt spray. 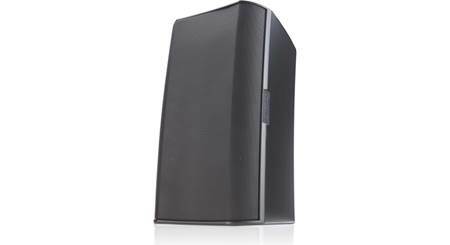 Mounting: JBL offers flexible mounting options for the Control 29AV speakers. Along with either vertical or horizontal surface mounting, the speaker can be wall or ceiling mounted using the included InvisiBall mounting hardware. 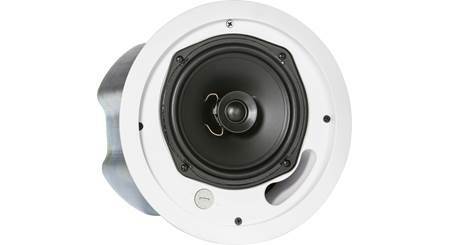 The Control 29AV speakers have a removable rear socket cover allowing the ball of the mount to sit inside the speaker. The socket is then tightened, using the included 10" Allen key, via the access hole underneath the removable front grill emblem. The InvisiBall mount allows up to 41˚ of horizontal rotation and up to 36˚ of vertical rotation. For horizontal mounting, the high-frequency compression driver can be rotated 90˚ by removing and re-using the 12 mounting screws holding it in place. There are also ten 6mm attachment points around the speaker for suspension mounting and JBL's optional U-bracket. Dimensions: Width - 12.0", Height - 20.50", Depth - 11.250"
Yes, mine came with mounting brackets and yes they are passive, you need to drive them from your amplifier. They come with the ball mounts (which I love), but you can add on brackets if you prefer. Great speakers!! I swear by the Control line. Crutchy will help u configure properly. 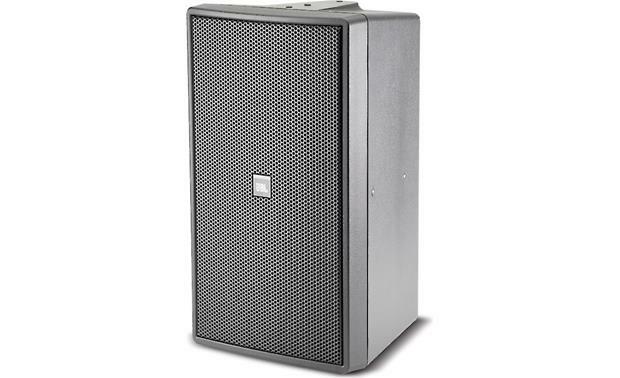 Searches related to the JBL Control® 29AV 8" commercial weather-resistant surface mount speaker.